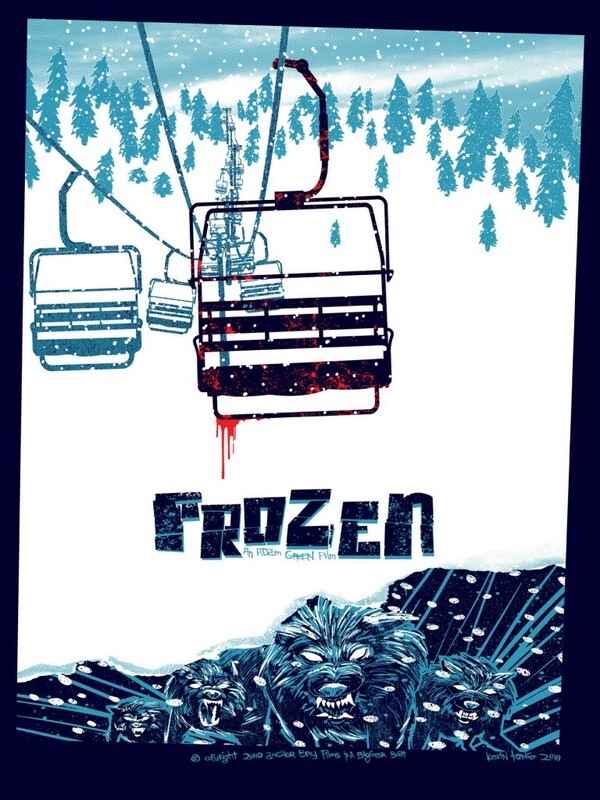 Frozen is directed by Adam Green and centres on three skiers trapped on ski lift after the lifts are switched off and the ski slope closed down for the week. Trapped on the lift the cold provides a genuine threat but judging from the trailer this may not be the only thing the protagonists need to worry about. So many great horror films rest on a simple premise and hopefully Green can take this simple idea and spin a gripping horror film from it. There is no definite UK release date yet but the film is due to be released some time this Autumn (Halloween perhaps?). Also released this year is Green’s Hatchet 2 which is set to close this year’s Frightfest in London. A typical day on the slopes turns into a chilling nightmare for three snowboarders when they get stranded on the chairlift before their last run. As the ski patrol switches off the night lights, they realize with growing panic that they’ve been left behind dangling high off the ground with no way down. With the resort closed until the following weekend and frostbite and hypothermia already setting in, the trio is forced to take desperate measures to escape off the mountain before they freeze to death. Once they make their move, they discover with horror that they have much more to fear than just the frigid cold. As they combat unexpected obstacles, they start to question if their will to survive is strong enough to overcome the worst ways to die.